What’s not to love about San Diego? With an average temperature 75 degrees, San Diego has an abundance of experiences for locals and visitors alike. I discovered this even more so on a recent solo road trip to the California city. While I’ve only been a handful of times, my favorite place to stroll and soak in the sights is within their beautiful Balboa Park. Coming in at 1,200 acres (more than double than New York’s Central Park), Balboa Park offers visitors a haven of museums, art and natural beauty all around. 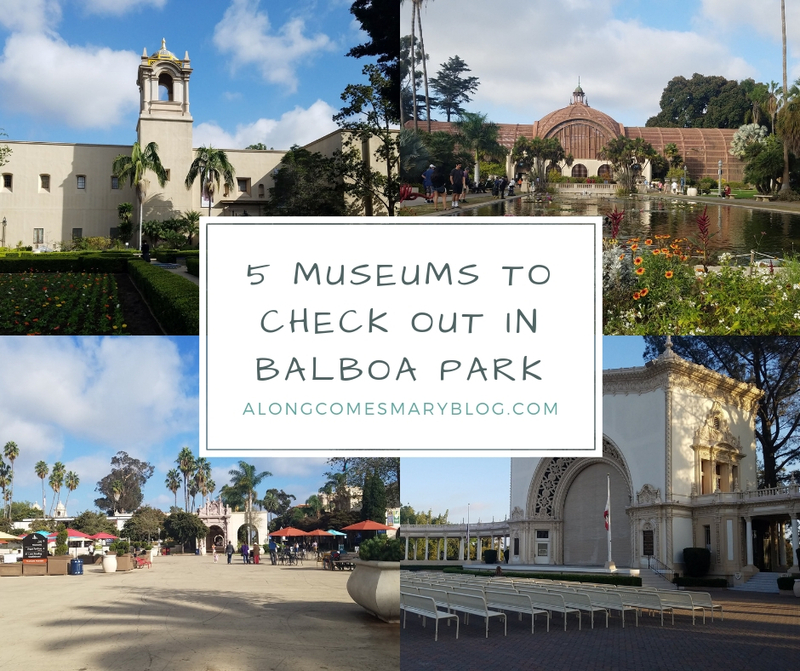 Read on to learn more about 5 museums I think should be on your radar in Balboa Park. At San Diego Museum of Man, their experience is all about “Inspiring human connections by exploring the human experience.” Not knowing what to expect, I knew this was going to be fun when I noticed their “Monsters!” exhibit as soon as I entered. Having to check this out right away, their “Monsters!” walk-through gallery explores all of the goblins and beasts from folklore, religions and the world of myth. While some creatures like the Garuda, a Hindu and Buddhist God, may seem intimidating, they’re actually protectors from the poisonous nagas snakes. With an elaborate set-up that includes a child’s bedroom, take a look for yourself and find out if there really are monsters under the bed! 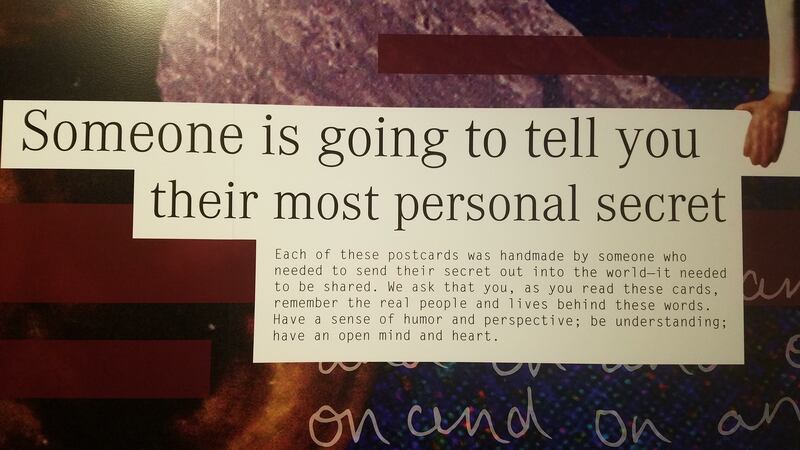 What I was most excited to see was their PostSecret exhibit. 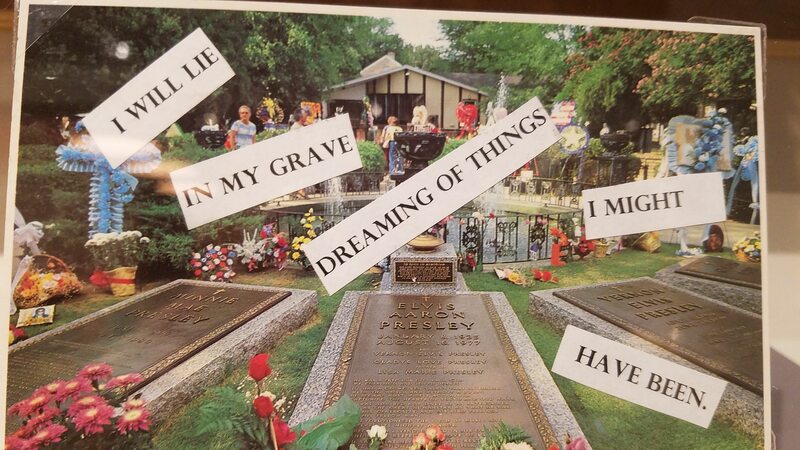 Currently at the museum until 2020, PostSecret gives visitors just a glimpse at the millions of secrets that have been submitted via post cards and “snail mail” to the community project that’s been going strong since 2005. Handmade and DIY art creations fill the walls and shelves as you walk through and learn about strangers deepest, darkest secrets. While some are poignant, and certainly heartbreaking, several also show the sense of humor one often has when life is anything but funny. You can also take a stab at posting a secret yourself as the exhibit includes a workshop with markers, pens and magazines to create your own work of art and mail in right there at the museum. Something not lacking in Balboa Park is their stunning architecture. The San Diego Museum of Art is a perfect example. Overlooking a promenade with exquisite landscaping, SDMA’s Spanish-inspired structure dates back to 1915 and is the oldest museum in the region. As far as their selection of art, you’ll be in luck if you love work spanning as far back as 5000 BC and from such notable artists like Henri Matisse and Mary Cassatt. I must say, the works of art that moved me most were the handful by Georgia O’Keefe. While I know her classic New Mexican, desert style, I had not yet seen any up close and personal. The various shades of pink and coral kept me gazing for a long while at Pink Shell with Seaweed. While her 1934 Barn with Snow reminded me of visiting my husband’s grandpa back in Illinois during winter. Artists I love like Tori Amos have commented on Georgia’ s influence and her ability to transport you to a whole new world. This is definitely how I felt in the presence of her work. For those who appreciate the European portrait,, don’t miss their Art of the Portrait spanning from 1500 to 1850. While these Golden Age paintings never quite move me like an O’Keefe, you cannot argue the beauty and style to these pieces. I’ve been to The Natural History Museum, aka The Nat, once before and recalled it being very family-friendly. Nothing wrong there, but I didn’t know if I needed to return. I decided to give it a whirl when I noticed their latest installment, HIdden Gems, was now open. 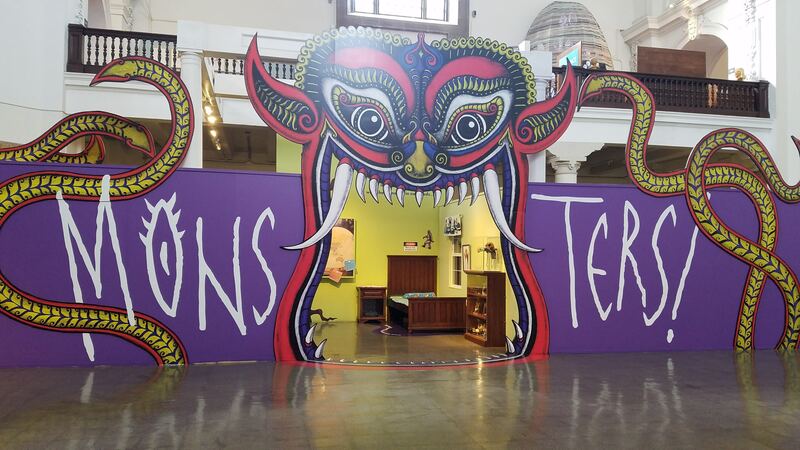 Walking in, I was greeted with the sounds of children having fun and families making funny noises like “Roar!” As I entered into the museum, it became clear what was getting all of the commotion. 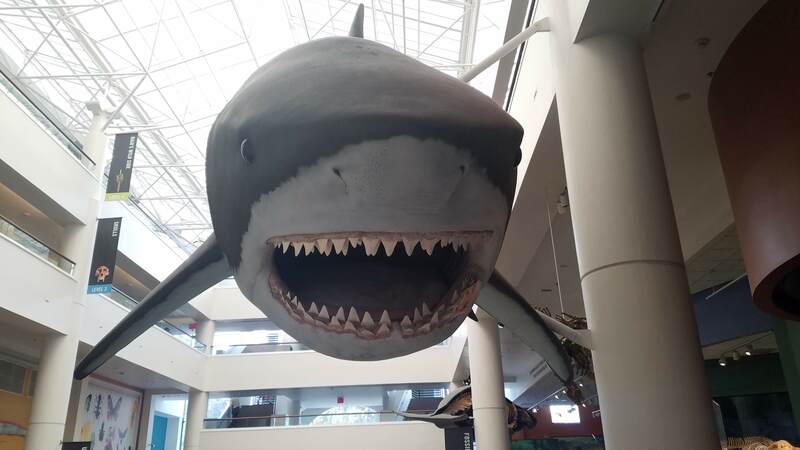 A replica of an extinct megalodon shark hangs from the ceiling! He makes for a great selfie spot whether you’re a kid or big kid. If you aren’t afraid of life-sized sharks, travel back 75 million years from the age of dinosaurs to the Ice Ages in the interactive Fossil Mysteries walk through exhibit. Unfold the prehistory of Southern California and Baja California, Mexico as questions are answered like what did prehistoric animals eat? And, how do fossils relate to our lives today? As for Hidden Gems, this is a must-see array for any stone lover. Instead of a traditional exhibition, these displays are on each floor just outside of the elevators. You can see something new and vibrant as you head up (or down) to each floor. Little did I know that San Diego County is one of the most known gem-producing regions in the world. 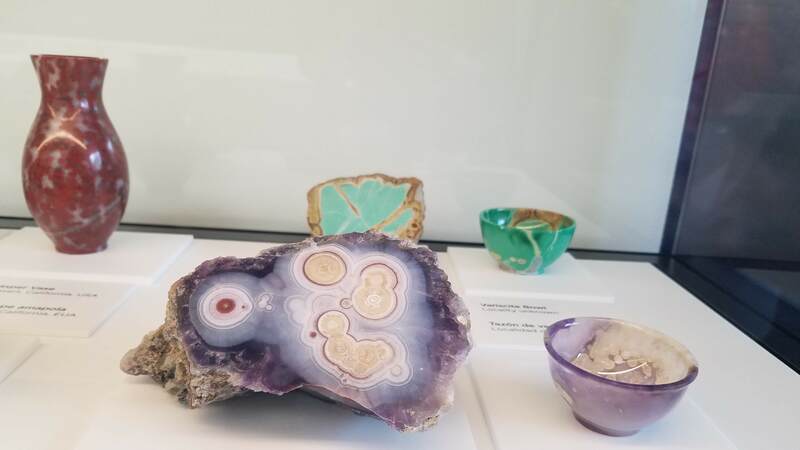 Local eye candy now on view at The Nat include luminous quartz, gleaming topaz, and the signature hot pink tourmalines that have brought fame to San Diego mines. Hidden Gems is their newest permanent exhibit, and an excellent addition to their collection. I must say, The Nat left a much better impression on me the second time around. Being very taken once again with the architecture, this is what drew me to Fleet Science Center, just across from The Nat. The Fleet was indeed quite family-friendly yet full of fun experiences like their current Mythbusters: The Explosive Exhibition. 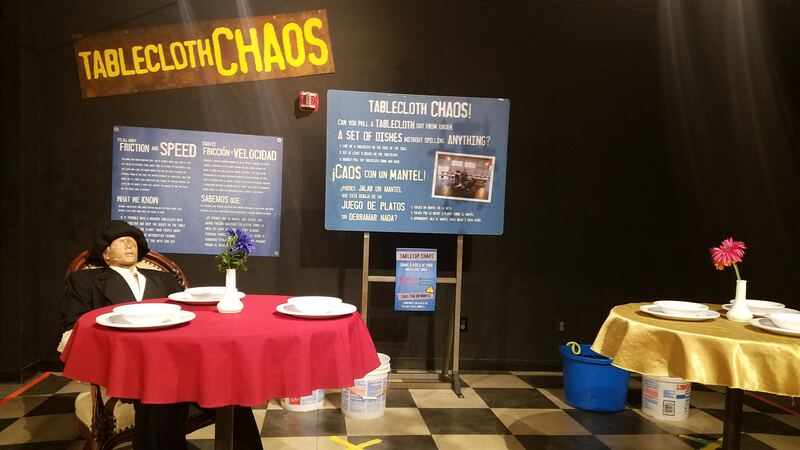 Open through January 6th, the traveling Mythbusters exhibit is a must-see for any fan of the hit series that debunks the myths of the world and answers burning questions like what keeps you drier: running in the rain or walking through it? Can you really pull a tablecloth off of a fully set table without disturbing a dish?! 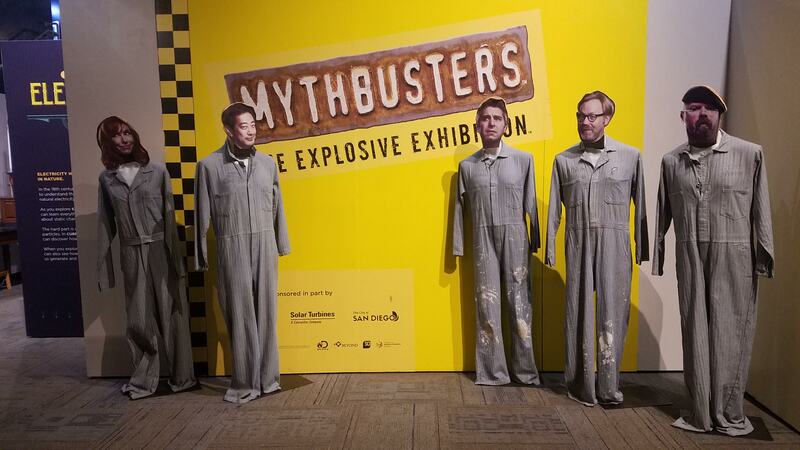 With actual props from the show and extremely interactive (yes, I ran through the rain and got very wet, very quick), Mythbusters: The Explosive Exhibition is a must-see for fans of the show and thrill seekers all around. Kids will adore this one, too. For a truly eye-opening experience into the history and trials San Diego has and continues to overcome, pay a visit to the San Diego History Center. 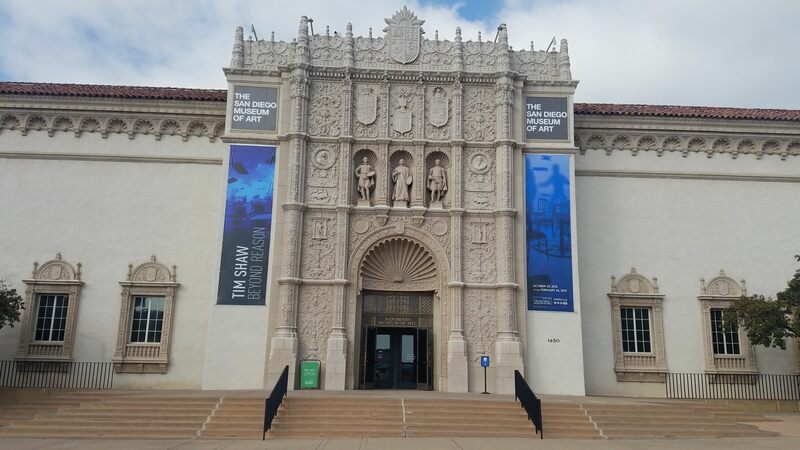 A donation based museum, the History Center offers visitors the chance to watch the captivating 30 minute film Balboa Park: The Jewel of San Diego. Exploring Balboa Park’s past, present and future, this documentary boasts stunning aerial views of Balboa Park and the city. Played throughout the day, definitely don’t miss the chance to see this film. What I was most intrigued to see at the center was their LGBTQ+San Diego: Stories of Struggles and Triumphs exhibit. In residence until 2020, this was both a wonderful and heartbreaking gallery to observe. Filled with courageous stories from locals in the lesbian, gay, bisexual, transgender and queer community, it was alarming to hear their stories of the bullying and humiliation they’ve endured. It was also encouraging to learn how far we have come, yet, we are far from “over” to obtaining equality, as explored in this exhibit. Beyond their 17 museums, Balboa Park also has various gardens, the Old Globe Theatre and events throughout the year. Not to mention their Spanish Arts Village and museum gift shoppes. Balboa Park is also where you will find the world-renowned San Diego Zoo and Safari Park. If you’d like to experience the museums as well as the zoo, consider one of their Explorer passes. Much like a CityPass, the Explorer pass offers visitors various options to find the pass right for them. Visit Balboa Park HERE to plan your adventures.